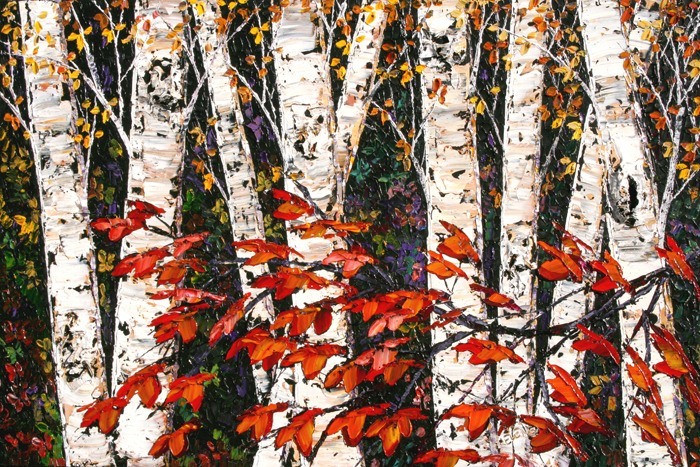 The Artym Gallery is excited to present the work of internationally-renowned Russian painter Maya Eventov. This is my response… I recently spoke to Maya Eventov, an artist whose solo exhibition will be featured at the Artym beginning on August 10 and this how she became the artist she is — beginning 40 years ago. Maya Eventov grew up in Russia and began her artistic training when she was just six years old. After expressing an interest in art, her mother signed her up for classes and by the time she was in Grade 4, she was attending an arts school that went up to Grade 8. From there, she attended an art high school associated with the art university that she later attended. Once she finished high school at the age of 17, Maya had the opportunity to compete for a highly prized spot in the Academy of Art and Design, with only a handful of the applicants succeeding on the first try. To attend, Maya was required to pass six intense entrance examinations; three of them consisting of academics, such as literature, and the other three were specifically art exams. These exams took place over three days, about six hours per day. After spending five years at the Academy of Art and Design, Maya graduated and, being in Russia, was guaranteed a job; the better student you were, the more choices you were offered. You were also able to create paintings “on the side” — the artist union would offer you a stipend and your work would be put on exhibition. Maya was only out of school for two and a half years, during which time she had a child, before she and her husband decided to move to Canada, 22 years ago. Only 26 years old, Maya was in a new country, experiencing culture shock and a language barrier with a young child. On top of this, she was dealing with the assumption (a sadly prevalent attitude in Canada) that an artist won’t be successful and should pick up a “useful” skill set. After training for two decades already, what a daunting prospect it must have been for her. But when she came to Canada, Maya managed to bring her watercolours, her paint brushes and her determination. Her father was later able to ship her some of her other supplies as well, and thus began Maya’s successful career as an artist. She has galleries all over the world, with showings in major art centres, including Toronto, New York, London England, Germany, Japan and more, including a modest little town in Canada called Invermere. So after 40 years of training and experience, Maya Eventov’s incredible paintings can be seen at the Artym Gallery this weekend. She will be in attendance for an opening reception on Friday (August 10) from 6 to 9 p.m. and will be doing a painting demonstration on Saturday (August 11) from 11 a.m. to 3 p.m. Share in her story of determination and inspiration.